This is the June edition of Mr. Completely’s E-Postal Matches. Many thanks to Manfred for hosting last e-postal. My recent play with flight simulators got me in the mood for an aviation themed match this month. The flying ace was any fighter pilot who managed to down five planes over the course of his fighting career. World War I and World War II saw a lot of aces, but in recent years, with the decline of air-to-air combat, we haven’t heard much about flying aces. Our e-postal match this month puts you in the cockpit, and try to take down some planes. Many thanks to Bitter for creating the target for me on short notice. Note that this target needs to be printed in landscape. If you try to fit it in portrait mode, it’ll be impossibly difficult. Place the target at 10 yards or 25 feet, whichever is available at your range. Your goal is to hit enemy planes and dirigibles around you without shooting your own plane, and see if you can become a flying ace. Fifteen planes means you could be an ace three times over! The large plane in the center is your plane, the smaller ones around it are enemy aircraft. There are fifteen planes on the sheet, and you have 25 shots total for the match, so you can try to hit a plane more than once, but you may not fire more than twenty-five rounds in the match. This is a test of accuracy. Scoring in this match is a bit unusual, because your goal is to become a flying ace without getting shot down. 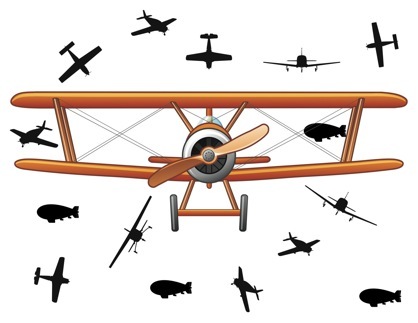 Each enemy plane hit counts as a single point. If you get five planes, you get an ace bonus, which is to add five points to your total score. If you get ten planes, you get two ace bonus points, and if you get all fifteen three ace bonus points! But here’s the catch. If you shoot your own plane, you can lose bonus points. Any shot on the wing, guy wires, or tail, and you lose one ace bonus. Any shot landing on the round fuselage part, the landing gear, or the propeller, and you lose all your ace bonus points. This means if you shot all fifteen planes, but hit the propeller, you scored 15 points. If you shot all fifteen planes, but shot the wing, you lose one ace bonus point for a score of 25 points. If you shot all fifteen planes, but shot the wing twice, you lose two ace bonus points for a total of 20 points. Now, if you shot 5 planes, but shot the fuselage, you still have 5 points. Hitting your own plane only causes loss of the ace bonus points. Enemy planes with holes always count for one point. Maximum score is 30 points. Standard scoring rules apply, meaning anything that touches part of the target counts as a hit. Shooting position for all classes is offhand standing, unsupported, one or two hands allowed. CLASS ONE: Rimfire – Iron Sight. Any rimfire handgun with no more than a 12″ barrel. Optical sights such as red dots, lasers, or scopes are not allowed. CLASS TWO: Rimfire – Optic Sight. 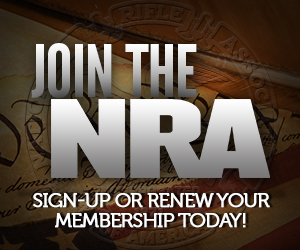 Any rimfire handgun with no more than a 12″ barrel. Red dots sights, lasers, or scopes can be used. CLASS THREE: Centerfire – Iron Sight. Any centerfire handgun with no more than a 12″ barrel. Optical sights such as red dots, lasers, or scopes are not allowed. CLASS FOUR: Centerfire – Optic Sight. Any centerfire handgun with no more than a 12″ barrel. Red dots sights, lasers, or scopes can be used. I’ll also score anyone who wants to enter with an air pistol, but e-mail me if you want to do this category. I will be happy to shoot it with someone, so we at least have two entries. MULTIPLE ENTRIES: One entry will be taken per gun per class, though you may shoot the match as many times as you like, and submit your highest entry. You can make multiple entries in a single class as long as you use a different gun. You can use the same gun in two classes if you add or subtract optics. Don’t worry if your score is low. This match is meant to be difficult, and will be especially difficult for centerfire pistol shooters. There’s no embarrassment in scoring low, only in not submitting an entry! Entries should be mailed to snowflakesinhell at gmail dot com by midnight on the 29th of June, which is a Monday. Results will be posted soon after. I’m printing this out in tabloid size. Heh. I’ve been wanting in on an e-postal for a while. I’m going to see if I can’t sneak away to the indoor range tomorrow! Any chance for a rimfire rifle category? I am in the process of getting my NYS pistol permit. I shot it with a flamethrower. I dunno what my score is, but I got all of them. Scotty, if you shoot it, I’ll score it. But you might win by default if no one else shoots in that category. Scotty, I’ll join ya for rimfire rifle. I’ll shoot the rimfire rifle as well. I’ll also shoot an air pistol version just for grins. Maybe I’ll get a chance to try again this weekend. My first attempt was a dismal failure, and I finally just shot myself down, because I at least could hit that! I like the flamethrower idea….. I guess I must have missed it, but I have not seen the results posted. I just wondered how badly I embarressed myself ….. If you have results… go ahead and send them along. I can include them. I won’t get around to compiling the results until tomorrow and Monday.